Perfection Overhead Door is locally owned and operated. We offer 24 hour service, anytime of the day or night, great warranty on parts and labour. Commercial, Residential, Sales, and Service on doors and openers. Give us a call today for a free estimate! 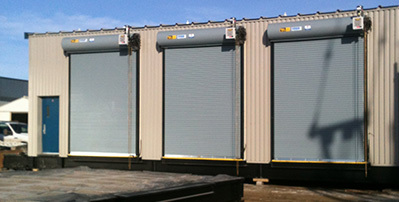 We install commercial, residential garage and over head doors. We also install a number of different garage door openers. Perfection Overhead Doors offers commercial overhead door installations ranging from shops, large buildings and custom installations. For more information, on our product line please contact us. Perfection Overhead Doors offers residential garage door installations. We pride ourselves on quality craftsmanship and professional customer service. We offer services and maintenance on existing garage doors, our team can dispatch 24/7 in case of an emergency. Your new garage door starts with a friendly conversation. Let us know what you’re looking for and we look forward to working with you.